WILLEMSTAD - Eugene Rhuggenaath is hardly a Prime Minister and his opinions are shared in the House of Representatives of the Dutch Parliament. During a radio interview on the Dutch news radio NOS, the new Curaçao Prime Minister said that Dutch politics should focus on what binds them during the formation of their government. They should not focus on their differences. 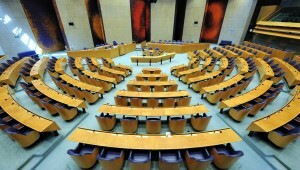 The leader of the Dutch party SGP, Kees van der Staaij repeated that advice in the debate of the House of Representatives on the stalled formation of a Dutch government. Van der Staaij also complimented Curaçao on the fact that they were able to form a government so soon.